With only three weeks in New Zealand, I made it mission to see all that I could see while getting a taste of both the south and north islands in just three weeks. Stray provided me the opportunity to do just that. My Stray Bus hop on hop off passes allowed me the schedule to see a ton of places in a short amount of time, while also providing me the flexibility to hop off in a place I’d like to spend more time in. The great thing about Stray is that I stayed in really iconic destinations, yet stopped in places off the beaten path. 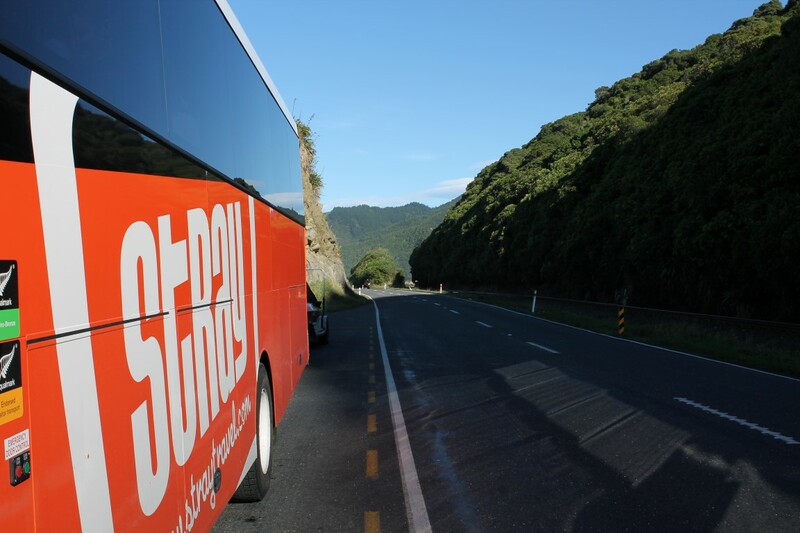 The Stray Bus allowed us to stray off the main routes so to speak to see incredible local spots along the way. Stay tuned to hear all about my incredible trip to New Zealand. This entry was posted in New Zealand, Oceania, travel and tagged adventure, Bucket List, experiences, Hop on Hop off, New Zealand, Stray, Stray Bus, Stray Travel, Travel, travel photography, Turquoise, Turquoise Compass by Turquoise Compass. Bookmark the permalink. interesting. I’ve never done hop-on hop-off, because I LOVE train travel so much, but for NZ this sounds like a great option! Thanks for sharing! Yeah, train travel is not the best (or possible) option in New Zealand so the hop on hop off bus pass worked well for me while I was traveling in New Zealand. Thank you so much. Are you dreaming of visiting New Zealand? You are welcome. Stay tuned for posts of my adventures in New Zealand. Hey Jessica, Great post! Thanks for sharing! Thanks so much. I hope you enjoy reading about New Zealand. Such an awesome post, Jess! Those photos took my breath away and the Stray Bus sounds like a great option. Thanks so much Donna. New Zealand is amazing and it is easy to get shots of great places. My breath was taken away in almost every destination that I visited. Thanks – great job as usual, brought back some memories of our trip back in the early 90’s. If you have never been to New Zealand here is a great taster plate for you. It’s definitely a place to see at least once in a lifetime. My time was this year. Do you have plans to go? Yes, there will be lots more on New Zealand. After Australia, the New Zealand posts will give my blog a new lively twist. I loved your post and Bridal Veil Falls so beautiful!! Thank you so much! It was an amazing place to see. I assume you have been? Thanks for stopping by my blog! I’ve followed you so we can stay in touch! Thank you so much. My whirl wind tour allowed me to see so much (you are right about that). I wish I could stay in New Zealand forever, as I feel with many countries. 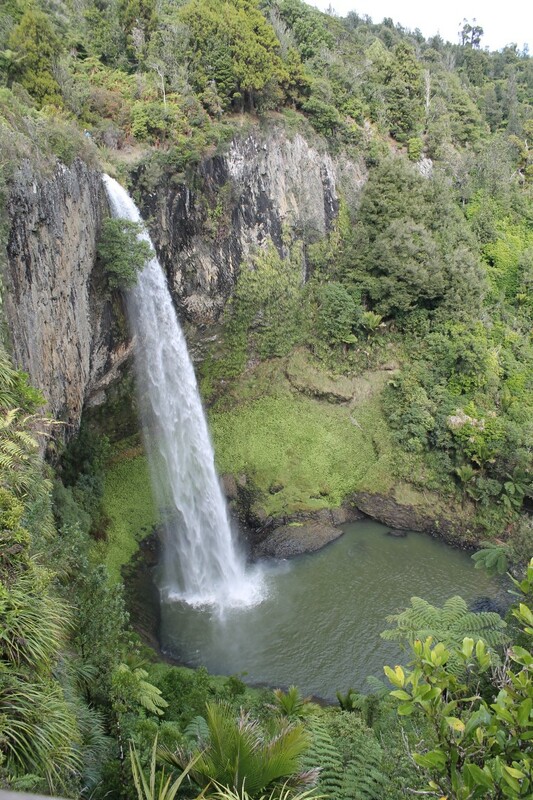 What is your favorite place/part/aspect of New Zealand? There are just too many to list! I am based in Christchurch at the moment, and we love sailing Banks Peninsula and the Marlborough Sounds. We love skiing in the Southern Alps, tramping the Abel Tasman, Stewart Island and the Catlins are also stunning. We are heading over to the West Coast next week to check out the Glaciers. Safe travels on your next adventures! I would have loved to sailed Banks Peninsula and the Marlborough Sounds (I missed those spots). 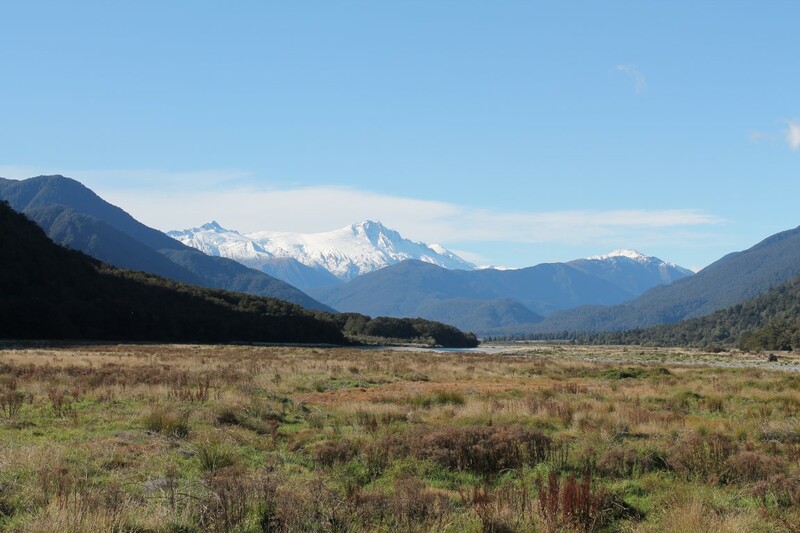 There is just so much to see and do in NZ. I LOVED Abel Tasman, it was one of my favorite national parks. 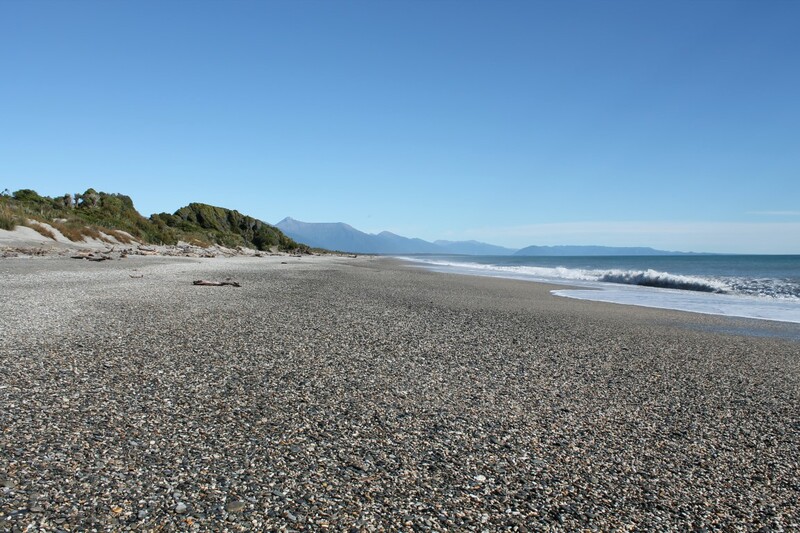 The wild west coast was also my favorite coast on the south island. You should write about this for the same campaign I submitted mine for. Yes, it literally was the ticket to see all that I did in a limited amount of time. Stray does similar tours in south east Asia as well. I’d be interested in trying one there too. I vote Stray all the way! I’m doing a driving tour in a couple weeks from Christchurch to Queenstown! Can’t wait to hear more about your time there. I’m hoping it won’t be too crazy cold when I go! Great! I hope I can help you plan some of your destinations. It will definitely be cold there when you go, especially in the south island. When I left Queenstown on May 3rd it was -1 Celsius in the evenings/mornings and about 5-10 degrees during the day. It was definitely a shock for me after leaving warm Australia. Manageable though. Be prepared. Seeing the snow capped mountains makes it all worth it.